My two pregnancies have been very different. During my first, I was in my lovely healing community of Sarasota. I was having my friend - a ninja massage therapist, yoga instructor and reiki master - giving me massages every two weeks. I was going to her yoga class several times a week. I was meditating on my own and going to my awesome women's meditation group every two weeks. I was walking around my neighbourhood every day and walking on the beach at least once a week. I was taking supplements every day and eating like a superhero. I was meeting friends for tea and doing everything I could to be a healthy, happy human in preparation to bring a life into the world. I felt awesome and didn't suffer with any unpleasant symptoms that I had heard about from so many patients over the years. I was so lucky. I was also very lucky to be in a place where I had a whole community of healers who I had relationships with, us all treating each other, to keep me healthy and balanced. There were many birth centre's in Sarasota and a wide variety of midwives which was amazing. I went to a few places and decided on the one I liked the best. My appointments were uneventful as everything was going well and I was feeling great. I ended up giving birth almost a month early to a healthy baby boy. I had him in the tub (where my husband was with me) all natural with no medications and although I was not prepared for how intense it was going to be or how much pain was going to be involved (no words could possibly express this), it was an incredible experience and one in which my husband and I participated fully. There were two midwives present, but they just observed, occasionally checking vitals, but other than that, they were just there to make sure everything went smoothly and not to interfere. A friend who was there said it was incredible, and that my hubby and I totally gave birth to that baby all by ourselves. She cried throughout, and said it was a beautiful thing to have witnessed. I was under the impression that my labour would take a while (first time mamas usually have longer labours) and that we would get to chat and have tea, but I said not one word to her the entire time as my labour went insanely fast. It took 4 hours start to finish. I was busy concentrating and was completely unaware of my surroundings for most of it. I was trying not to pass out from the pain. I was concentrating on making it through each contraction. It also became immediately apparent that the process was almost completely out of my control and that I just had to let go and let it happen or I would make it a whole lot more uncomfortable for myself. So many lessons, oh my! I found out I was pregnant a couple of days before I was to get on a plane, leave my entire life behind and relocate my little family to Central America. This was not planned so it came as a bit of a surprise. I had so much on my mind with the enormity of what we were about to do that I had to tell myself that I would deal with it when I got there, and that the "getting there" part was what I had to focus on at the moment. Now, relocating your entire family to another country is no small thing, especially because we had never seen the house we would be renting and really had to hope that there was a van there to pick us up at the airport. There was a lot of just having faith that things would be ok which, at least in my experience, is what a lot of travel is about. This becomes slightly scarier when you have your entire family in tow including an 11 month old baby, but we did it and the next many months were a kind of chaos and emotional rollercoaster that I could not possibly describe in words. We were living in an extremely remote place on a beautiful but treacherous road learning to drive a standard car and just figuring out how life worked in our new home. It was intense. It was sort of like being thrown off a cliff and hoping that your parachute would open before you hit the ground. Those first many months were hard, and there were a lot of difficult times, but we all got through them, and things started to settle. As it turns out, this doctor is an anomaly in Costa Rica. He is an OBGYN and ten years ago he was asked by a patient from the Netherlands if he would deliver her baby at home. He said initially he thought this was crazy, but she was very insistent so he agreed. He explained that after speaking to her about how they handle pregnancy and childbirth in Holland, that he started reading about it. After that, with each foreign patient, he asked about how they viewed pregnancy and childbirth in their country, trying to find documentation so he could learn. For the past ten years he has done almost nothing but home births, with his mostly foreign patients. He says that in Costa Rica this is not a common practice and people still have their babies at the hospital. He shared that when he goes to his yearly gynecological conference in the capital city of San Jose that his colleagues affectionately refer to him as "the crazy" doctor that does home deliveries. I have met many expats here who call him "the baby whisperer" and sing his praises. When I had my first baby I received a binder full of information/articles about pregnancy and childbirth from the birth centre which I brought to one of my appointments and offered to share with him. He was very grateful and very much wanted a copy so he could learn about how one can have a baby in the US, as well as be able to share the information with his Costa Rican patients. I am so happy to have a doctor that is so open and curious. I feel that I am in very kind and capable hands. I am about to have my second baby any day now. I am trying very hard to finish this article before I do so I can get it published, as after the baby is born, your life slips into a sort of chaos which makes doing anything but feeding and sleeping that baby difficult. My lovely doctor will come to the house when I call and let him know I am in labour or (probably in my case) my water breaks. He will bring a tub so that I can deliver in water if I wish (and I do wish it!). He says he doesn't believe in interventions unless they are necessary, and he brings with him everything that might be needed. We are about 20 minutes from a hospital, and I was told to have at least 10 coconuts (known as pipa's in Costa Rica) as drinking the water inside is one of the best things for hydration, nutrients and electrolytes. I am going to need them in labour. Thankfully, they grow on the property and there is a growing pile of them outside the front door in anticipation for my labour and delivery. In Chinese medicine, pregnancy and childbirth are considered a very powerful time for women. They are also a time when mothers need to take especially good care of themselves as pregnancy, and particularly childbirth, are extremely depleting of the woman's precious resources. Herbs and acupuncture are used both during and after the birth to build up the mother so that she can regain her strength. There is also something called "golden month" (I will write about this in a post later) in which the mother is supposed to do absolutely nothing for the month after the birth of her child. She is not even supposed to shower and is to be waited on hand and foot so that she can properly and completely rebuild her body and rebalance her psyche and emotions. This is to combat the depleting effects of her pregnancy and the subsequent birth of her child. In our modern world, mother's often have to go right back to work after having their children which, in the Chinese medicine view at least, does not give them the time they really need to heal and recover from such a depleting experience. It also does not allow them to bond with their new babies in the same way, which is an important part of the babies' development both cognitively, emotionally and physically. Pregnancy and childbirth are sacred, and must be treated with reverence and respect allowing the mother to fully heal and give her the time needed to bond with her new child. BEIJING, Dec. 6 (Xinhua) -- The Chinese government published its first white paper on traditional Chinese medicine (TCM) Tuesday, detailing policies and measures on TCM development and highlighting its unique value in a new era. As ideas on fitness and medical models change and evolve, traditional Chinese medicine has become more and more profound in its value, the document said. "TCM has been comprehensively developed in China which is now able to offer health services covering the life cycle of citizens," said Wang Guoqiang, director of the State Administration of Traditional Chinese Medicine. 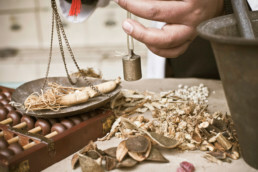 TCM and Western medicine have different strengths. They work together in China to protect people from diseases and improve public health. This has turned out to be a unique feature in the development of China's medical and health sector, Wang said. Hailing the establishment of a TCM medical care system, covering both urban and rural areas in China, the white paper said there were 3,966 TCM hospitals, 42,528 TCM clinics and 452,000 practitioners and assistant TCM practitioners across the country by 2015. 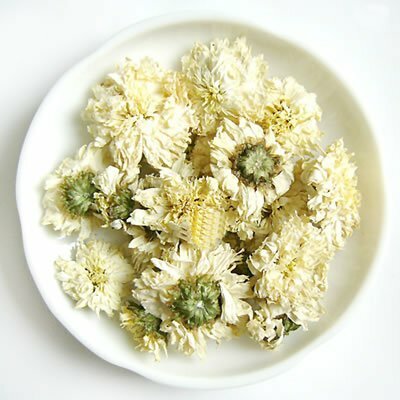 In addition to making contributions to the prevention and treatment of common, endemic and difficult diseases, TCM has played an important role in the prevention and treatment of major epidemics, such as SARS, HIV/AIDS, as well as Hand, Foot and Mouth Disease, it said. TCM also played an important role in the reform of the medical care system, according to the white paper. With relatively low cost, TCM has contributed rather a higher share of services in relation to the resources it has received, it said. The medical care services provided by TCM institutions increased from 14.3 percent to 15.7 percent from 2009 to 2015, according to official statistics. There were 910 million visits in 2015 to TCM medical and health service units across the country. China has established a modern Chinese medicine industry based on the production of medicinal materials and industrial production, tied together by commerce, said the white paper, while also noting the rapid development of TCM pharmaceuticals. A number of laws and regulations have been passed to protect TCM medicinal resources in the wild; and artificial production or wild tending has been carried out for certain scarce and endangered resources, the document said. To date, 60,000 TCM and ethnic minority medical drugs have been approved, and 2,088 pharmaceutical enterprises that have been approved by the Good Manufacturing Practice of Medical Products to manufacture Chinese patent medicines. In 2015, the total output value of the TCM pharmaceutical industry was 786.6 billion yuan (114.21 billion U.S. dollars), accounting for 28.55 percent of the country's pharmaceutical industry, making it a new source of growth in China's economy. Wang stressed the need for comprehensive reform of TCM, including supply-side structural reform, to lift service capability, noting disharmony between TCM and existing laws, policies and institutions. Elaborating the country's policies and measures to promote TCM development, Tuesday's white paper said China has made TCM development "a national strategy." A series of major policy decisions have been made, and a number of plans have been adopted to promote TCM development since the Communist Party of China's (CPC) 18th National Congress in 2012. In 2015, the executive meeting of the State Council approved a draft Law on Traditional Chinese Medicine, submitting it to the top legislature for approval, intending to provide a more sound policy environment and legal basis for TCM. In 2016, the CPC Central Committee and the State Council issued the Outline of the Healthy China 2030 Plan, a guide to improving the health of the Chinese people in the next 15 years. In the same year, the State Council issued the Outline of the Strategic Plan on the Development of Traditional Chinese Medicine (2016-2030), which makes TCM development a national strategy, with plans to develop TCM in the new era. Stressing the innovative development of TCM for health preservation, the white paper said China aspires to enable every Chinese citizen to have access to basic TCM services by 2020, and make TCM services cover all areas of medical care by 2030. Meanwhile, TCM is going global, with the white paper saying TCM has spread to 183 countries and regions around the world. In the past, international exchanges were basic, but now substantive cooperation at the operational level of TCM is taking shape, said Zhang Boli, president of the China Academy of Chinese Medical Sciences. "TCM offers a valuable reference to other parts of the world in terms of curbing the fast growth of medical expenses to make medical care affordable," Wang said. At present, governments of 86 countries and regions have signed agreements for TCM cooperation with China as TCM gains more popularity and recognition globally, Wang said. I thought I might write about what my birth experience was like and how motherhood has changed me, both as a person and as a practitioner. Because this could easily be a 50-page article, I will be succinct. At least I will try. My baby is 10 months old now! He is talking, walking, laughing and growing like a weed. That sweet baby is the light and love of my life. It has been a fascinating/joyful/frightening/blissful experience to have a baby. Nothing could have prepared me for what it was and is like. And that is the thing about it, I don't think there is anything you can do to prepare for how it is going to make you feel, and how it will, in every way, change your life. My very pregnant belly! About a month before I had Liam. I was at work, treating a patient when my water broke almost a month early. 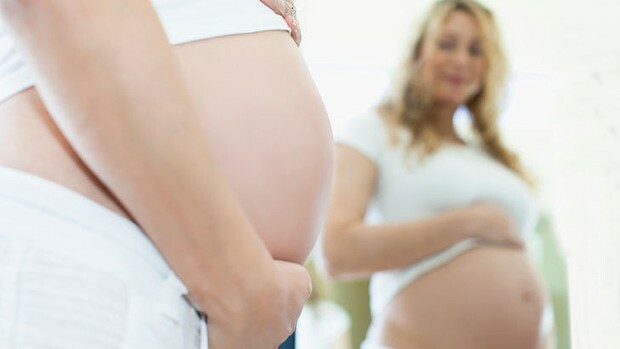 I knew, and my midwives told me, that what we see in movies - the pregnant woman in the grocery store whose water breaks - is not usually the way you go into labour (this only happens in about 10% of cases). I also knew that most first time mamas go beyond nine months, often by a couple of weeks. So, let's just say that I was a bit unprepared when I was writing out notes with a patient on the table when my water broke. I wasn't sure at first what had happened, probably because I wasn't expecting it. It only took a second to figure it out, and then my mind took me all the way to the end of the thought... I was going to have a baby. Today! I politely waited for my patient to have her time on the table and then went in and whispered to her (thankfully, she was also my friend), that I thought my water had just broken and that I should probably call my midwife. Her eyes got as big as saucers and she said "just calmly take out my needles, and I am going to help you. My gods, we're having a baby today!" My midwife said that I should come in and make sure that my water did in fact break. I asked if I could go home and get my hunny first and she said of course. I texted him and told him my water had broken and his response was shock, disbelief and surprise. My friend piled up some towels on my car seat (when your water breaks, the amniotic fluid keeps producing so it is like a continuous flow) and I drove, as calmly as I could, home. When I arrived, everything I needed was in a bag and on the bed. My hunny had been busy and looked like he was having a small heart attack when I walked in the door. We looked at each other and smiled, knowing our baby was on its way. We got into the car and drove to the midwives where they checked and confirmed that my water had indeed broken. If your water breaks before you are in labour, you have 24 hours to begin labour (at least this is the rule in Florida where I live) or you put the baby and yourself in danger because the "water" or amniotic sack is there to protect the baby and keep everything sterile, so there is some pressure to get things going once your water has broken. The midwives checked me over and said everything seemed fine, but that I needed to get things moving. They told me to go get a couple of homeopathic remedies to help speed up labour and said to go home and make out with my hunny, which was a sure fire way to kick start the process. They told us to call them as soon as my contractions were about 5 minutes apart, or in 4 hours, whichever came first. Now, I want to be really honest with you about what came next. And by that, I mean the pain. I don't think there is anything I could have done to prepare myself for what contractions and ultimately birth felt like. I know that everyone has a different experience, and I certainly watched a thousand videos of women giving birth in the months before I was due. But none of them accurately conveyed what it *felt* like. It is a difficult thing to accurately describe, so let me say this. I think, because of various things and experiences that I have had in my life, that I have, or had a pretty high tolerance to pain. Previous to having a baby, my pain scale went from one to ten. I was blissfully unaware of any pain, capable of breaching the ten ceiling. My pain scale now goes to 37, and that is not an exaggeration or an inflated number used to be dramatic - that is a relative increase, a mathematical equation used taking my maximum experience of pain before birth and multiplying it appropriately. Yup, that was the pain. Woo, it hurt. The things I have heard over and over again from women about birth are the fears they have of how much it is going to hurt. This is why there is a delectable assortment of drugs used to dull the pain of childbirth and I would never judge any woman for using any of them. Especially not now. Of course, the intensity and quality of pain varies from person to person, but I have to say, the pain I experienced during childbirth was something that I could not possibly express in words. It was a pain I never knew existed, and the most painful experience I have ever had in my life. But I don't want to scare you about the pain. Do I regret it? No. Would I do it again? Yes. Do I wish I had been a little more aware of how intense it was going to be beforehand so that I could have been more psychologically prepared? Honestly, I'm not sure. Maybe. Was it worth it and one of the best, most incredible experiences of my life? Yes. The pain, much like the giving birth, were literally cutting new experiences into both my body and my psyche. They were experiences so intense that they literally take you to another place that anything less would never be able to take you. Words, again, cannot possibly express the depth and breadth of the experience, but alas, they are all I have at this moment. My labour, once it started, went so quickly that my contractions were almost immediately on top of each other. I was unaware of anyone or anything else in the room, except my love, who was clutching me through each contraction. I would lean into him, gritting my teeth, crying out, focussing all my energy on making it through each one. I didn't have time to think. I didn't have time to fear. I only had enough energy to focus on making it through each contraction. I didn't even have time to think about something that might help the pain. Not once did this thought enter my head, which was swimming in a pain I scarce thought existed. The only time I came out of my pain was when I looked up and said "girls?" There were two midwives in the room, apparently watching closely, but sitting back, not wanting to crowd the experience. I saw them then and Christina asked, "yes?" I remember asking - "Can you die from pain?" She smiled and assured me that I could not. I remember then deciding that if I couldn't die from it, then I could endure it, and that was what I was going to do. That was the only time I remember being aware of the room or the people in it. My friend Michelle was there, sitting in a rocking chair in the corner, photographing the whole thing, but I was completely unaware of her presence. I had ridiculously told her that we would have a wonderful chance to catch up and perhaps have a tea while I was in labour and it would be so great that she would be there. Unfortunately, I didn't say one word to her the entire time, I was engrossed in my work. Sweet baby Liam was born in the tub and all natural after 4 hours of labour. 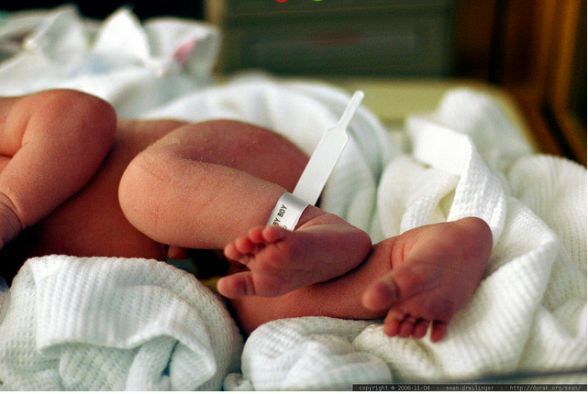 He arrived more than three weeks early but was born a healthy baby to very happy parents. After a few minutes in the tub together, the midwives said I should get out and come over to the bed so that they could listen to the baby's heart and prepare for the arrival of the placenta. As I held him, I was helped to stand up and get out of the tub making my way over to the bed where the midwives listened to his heart and measured him. All the while, he never left my arms. I laid on the bed, marveling at this tiny creature who seemed so calm. His eyes were closed and he snuggled into me as I stared in wonder at his tiny body. The midwives checked him over and made sure he was healthy. My husband got to cut the umbilical cord after some time so that the baby could benefit from the blood coming from the placenta. I was then told that I would have to deliver the placenta. My midwife said that I shouldn't be concerned, as although it was about the same size as the baby, it had no bones and would be easy to deliver. One of the midwives held on to the umbilical cord and pulled slightly at the same time that she told me to push. The placenta came out in one push and was taken by the midwives to be processed, as I had requested for it to be encapsulated. I was then asked to sit up and eat a little something and was handed a plate of cottage cheese and fruit which I ate, not realizing how hungry I was. While I was eating, the baby was taken out of my arms and weighed beside me, then given back to me. I was told that I needed to have a shower and that a couple of the midwives would help me to the bathroom and stay in the room in case I felt a bit faint. I remember getting up and feeling a bit woozy. I had a shower (which felt great) but soon did feel a bit dizzy so was told by the midwives to sit and just soak in the hot water for a bit. After that, I was lead back to my room where I was shown how to nurse and then told to relax until we were ready to go. It was so nice to just all sit in the bed together, my new little family and bask in our love for a little while. It was surreal and wonderful. I remember thinking that it was the reason we were here and that I couldn't have felt any more love at that moment. Once we had sat for a bit, we dressed the baby in his tiny shirt and pants and a hat and the midwives helped us to put him into the car seat, showing us how to strap him in safely. The midwives gave me the clothes I had worn when I arrived, nice and clean from the wash (they had washed and dried them, bless them!) and we dreamily got into the car. I hugged my midwives and drove my little family home. I remember being so grateful for having such a wonderful birth experience. I felt safe and like the midwives were there if I needed them, but that they were hanging back and letting us have our baby ourselves. My friend Michelle said to me the next day - "my gods, you guys had that baby yourselves, it was incredible!!" She took amazing (and emotional) pictures of the birth. They really convey the intense emotions of the experience. Now, I wasn't sure that I would talk about the placenta, as it is a subject that many people find strange. For me, ever since I could remember I knew that I wanted to ingest my placenta, as many animals in the wild do. The placenta offers many vitamins, nutrients and health benefits to the mother after the hardship of pregnancy and birth. I am not sure they would give you this option at the hospital, but most midwives and birthing centre's have the option to keep your placenta. Something that was new to me, was that they can now do something called "encapsulation" which means that the placenta is taken after delivery and refrigerated, then dried and made into capsules to make it easier to ingest. This is pretty cool as you used to get the placenta in its entirety and would have to cut it up into bits and be creative about what you did to it, either juicing it, adding it to a stir-fry or whathaveyou. I honestly feel that in those weeks after giving birth I felt better, stronger and more even keeled emotionally because of the fact that I was taking my placenta capsules. In Chinese medicine, pregnancy, and especially childbirth are very depleting to blood and qi, so resting (the Chinese concept of "golden month' is something I will write about later) and doing everything you can to build blood and qi are important for the mother's recovery. Midwives - "How are you feeling?" Me - "Great! I am feeling really good." Midwives - "Ok, excellent, we will see you next month." The first couple of weeks after the birth were the hardest. The worst part was that I couldn't sit. Everything was so, um, sore that sitting was impossible. I had to get very creative about nursing. My body was exhausted, and all of my focus was on this tiny person, who, for many days didn't even have a name. My husband and I were so absolutely sure that we were having a girl that we didn't have a name for a boy and it took us some time to choose the right one. ;) The baby was nursing every few hours and he was so tiny that I was terrified that he would get crushed or that we would roll over on him or that the cat would try to eat him... and you are so tired that everything becomes very surreal and your ability to cope becomes eroded because of a serious lack of sleep. I also had terrible digestive problems after Liam was born that went on for about 6 months. We had a lot of company in those few months after he was born too, which was difficult. Of course, your friends and family are so happy and want to see the baby, but you are not at your best and still figuring out your new life with your babe and having people there all the time was stressful and made me more exhausted than I already was. I think if I were to do it again I would take some time, at least a month or two before I would have family come and stay just to get some time to bond with my new family. I also had a hard time nursing and the baby was underweight at my first postnatal appointment which was hard and very emotional. He was put on a rigorous feeding schedule and I had to keep track of every feeding for weeks as well as have him weighed constantly to make sure that he was gaining enough weight. All in all, those first few months after Liam was born were the most difficult. You have this new life to worry about that is completely dependent on you and your good judgment. Everything is new and you are trying your best to do everything right while only sleeping a few hours at a time (if you're lucky). You are feeling like an emotional train wreck because your hormones are readjusting and everyone around you is giving you advice and telling you what to do. Your body feels ruined and like it will never be the same. You want to cry because you are so happy. You want to cry because you are so tired. We got through it, and things got better once I set up a bit of a schedule and returned to listening to my instincts, which have never failed me. With all the books, blogs, doctors and mothers out there, having a baby can be a daunting experience. Everyone has advice they want to give you. Often when you have not asked for it. There are a billion theories on how to have a baby and raise a child and it is hard to know what to do. If you are strong willed and stubborn like I am, then you have some pretty clear ideas about how you want to do those things and you may spend a lot of time justifying and explaining to friends and family who don't agree with the way you are doing things. This uses up precious energy that you should be spending on your sweet baby! I think that we live in a world of magnificent diversity, and there are many ways to do all of the things we do. Each person needs to find the way that resonates with them. This is sometimes easier said than done, but having a baby and raising children is an intensely personal experience and I believe everyone needs to do it in a way that makes sense to them. I decided to have a baby at a birth centre, in the tub, with midwives because that was important to me. I wanted to bring my child into the world in the most natural and gentle way possible. I wanted to be in control (well, as much control as possible) of my birth experience, and I knew that my midwives would respect my wishes. They absolutely did and I ended up having a wonderful birth, exactly the way I wanted it. I feel very lucky that I could choose to have that experience because I know that many women do not have the luxury of choosing how they give birth. Sweet Liam is now 10 months old, and a very sweet, good-natured, happy baby. I learn so much from him, and I love watching him discover and explore the world. He is a pure Buddha in that he is absolutely in the moment and the embodiment of joy and love. I realize that all of the experiences that I have had and all the things I have done in my life were to make me a better mother for him, so that I could share the things I learned and give him the wisdom of those experiences. I also feel so blessed that I get to be his mother in this life. I believe that children choose us, and I am honoured that he chose us to be his parents. I love him more than I knew was possible. Thank you my friend. I love you. Water is important to keep fluid moving and to clean out toxins from the body. Water helps in digestion, circulation of nutrients and detoxification of blood. The more toxins we can clean out of the body, the lesser burden it will be for the liver. Green color foods can increase the detoxifying function and mung bean is the best choice. Cooking mung beans in boiling water for 5 to 6 minutes and drink the green water regularly throughout spring and summer is best to support detoxification and can cool down internal heat. Both overeating or under eating can cause abnormal production of digestive enzymes and bile by the liver, therefore affecting its normal function. Foods should be bland in taste in spring and not too hot or spicy. It is best to eat more fruits and vegetables. Moderate drinking can uplift liver yang energy but too much alcohol can damage the liver by giving it too many things to detoxify. Anxiety, anger, sad and worry are the emotions that can cause suppression to liver energy and damage the liver. Controlling these emotions can give positive and uplifting energy to the liver so that it can work at its best. Light outdoor exercise in spring such as hiking, jogging, and tai-chi can promote blood circulation which is good for promoting liver function. Foods such as chrysanthemum, animal's liver, goji-berries, angelica, etc. 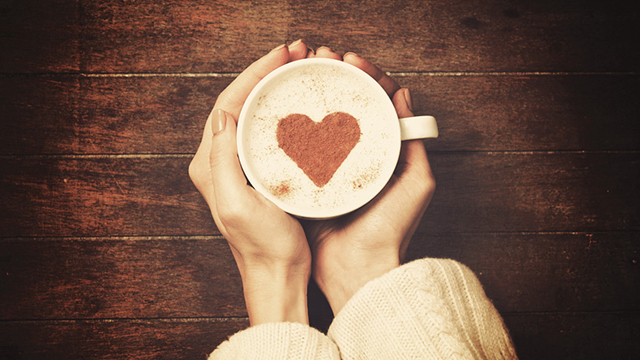 can lower liver heat and enrich the blood. Eating some sour taste foods can help to promote liver health but overdoing it can suppress liver energy. The importance of the gut flora in ill health is becoming increasingly obvious as it is implicated as a cause of an increasing number of illnesses. The health of the gut has a substantial impact on the health of the liver as everything absorbed from the intestines passes through the liver so that harmful substances can be detoxified before the rest of the body is exposed to them. In one study by doctors at Biolab UK, 61% of sufferers of undiagnosed chronic illnesses with predominant fatigue were found to have overgrowth of both bacteria and yeast in the gut1. As a result of their normal metabolism, these micro-organisms produce waste products that in increased amounts can be harmful to the liver and the person’s health as a whole. Yeast in particular produce a large amount of ethanol (drinking alcohol) which is highly toxic to the liver, in fact, alcohol is the single most toxic substance to liver cells. As well as producing increased amounts of toxic substances for the liver to deal with, yeast or bacterial overgrowth also causes damage to the intestinal lining causing 'leaky gut'. Increased gut permeability results in even more potentially toxic substances from the gut being absorbed to put further stress on the liver's detoxification pathways. A study of liver disease in alcoholics found that only the patients with a leaky gut developed cirrhosis of the liver2. This points to the possibility that in people with gut dysbiosis, not only is there chronic ingestion of alcohol but the leaky gut caused by bacterial and/or yeast overgrowth leads to more severe effects on the liver from the alcohol produced. If the liver is overwhelmed by toxins from the gut and from chemicals in everyday use it won't function correctly and may even become damaged and inflamed. As a result, not all toxins entering the liver are detoxified and gain access to the bloodstream to travel anywhere in the body. These toxins and the excess of free radicals (highly reactive forms of oxygen) caused by poor liver function can cause direct damage to tissues and also initiate allergic or auto-immune reactions. Un-neutralized toxins are also expelled into the bile in this situation and can further damage the intestinal lining, setting up a vicious cycle in which gut dysbiosis and leaky gut cause poor liver function which in turn worsens the gut dysbiosis and leaky gut. As mentioned earlier, the liver requires large amounts of energy and nutrients to function efficiently. If the liver is overwhelmed by toxins, these nutrients can become depleted and the liver will function inefficiently resulting in numerous symptoms and problems throughout the body. Many of these nutrients can be replaced by supplementation, improving the functioning of the liver. There are also a number of herbs and other methods that can heal a damaged liver and improve detoxification functions. The milk thistle plant contains silymarin and related flavonoids which are some of the most potent liver-protecting substances known. These flavonoids are powerful antioxidants so protect the liver from damaging toxins and free radicals. They also stimulate healing and the production of new liver cells and cause the liver to increase production of glutathione, the bodies most important antioxidant and detoxifying substance. Silymarin has been proven to both protect liver cells and repair existing damage in animals intoxicated with mushroom toxins, medicines, heavy metals or toxic organic solvents3. Human studies have also shown decreased mortality in patients with alcoholic liver damage who are treated with silymarin3. 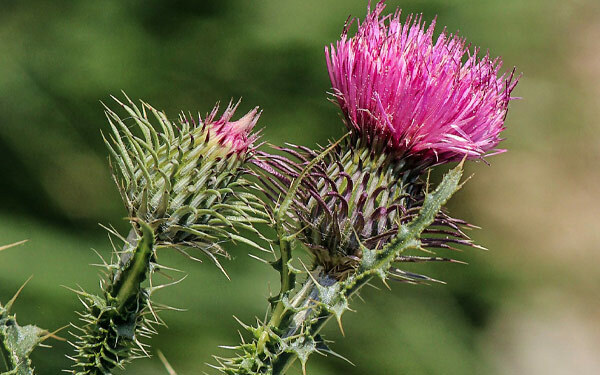 Milk thistle is commonly available in capsule or tincture form and a common dose would be 200mg 2/3 times per day. For hepatitis and cirrhosis doses of 400mg or more 3 times per day are common. 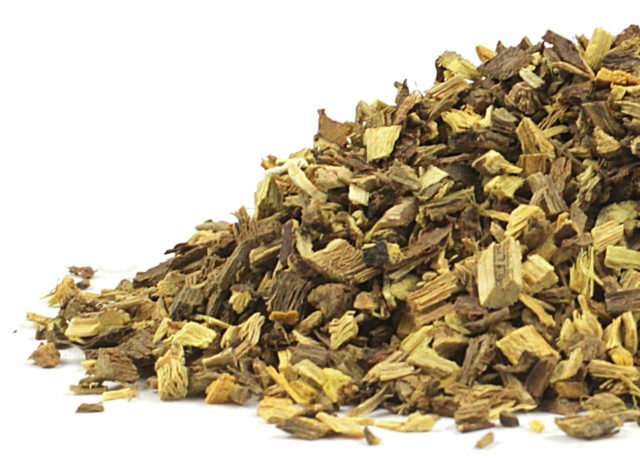 Burdock contains a number of nutrients important to liver function. 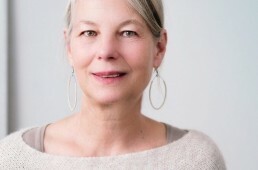 These include vitamins B1, B6 and B12 which are essential for the function of phase 1 liver detoxification's pathways, vitamin E, a powerful antioxidant and sulphur which is essential for a number of important phase 2 liver detoxification pathways in which potent toxins created by phase 1 detoxification are neutralized. Phase 2 pathways requiring sulphur include those utilizing glutathione. 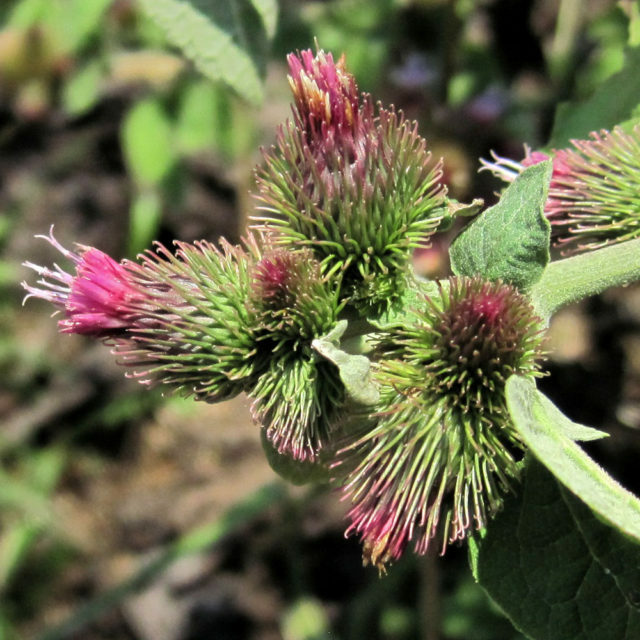 Burdock also contains other substances such as arctiin which act to improve liver and gallbladder function. Clinical studies have shown dandelion extract to have protective effects against lipid peroxidation and free radicals, both damaging products of a poorly functioning liver4. 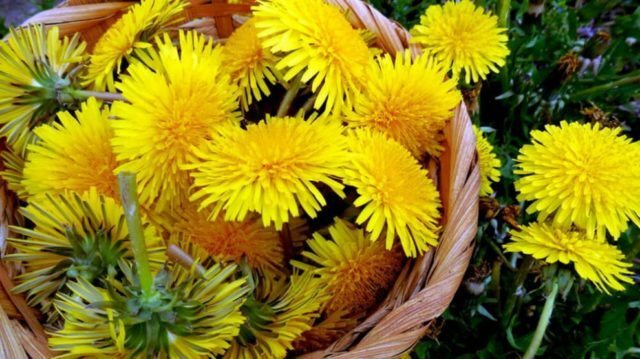 Like burdock, dandelion contains a wealth of nutrients important to liver function, especially the B vitamins. It cleanses the liver and increases the production of bile. Dandelion is often used as a herbal treatment for all liver diseases of the liver including hepatitis, cirrhosis, and jaundice. Hepatitis is an infection or inflammation of the liver due to viruses of "A", "B" and "C". Drinking contaminated water or eating contaminated seafood can result in hepatitis A. It can easily spread through person-to-person contacts. Hepatitis B is usually contracted from bad blood or infected needles or sexual activity. Hepatitis C is always acquired from blood transfusions. The major symptoms are fever, flu-like symptoms, weakness, poor appetite, fatigue, dark urine and light-colored stools. Most people who got hepatitis can eventually recover with proper nutrition and complete rest. However, liver disease caused by alcohol can lead to death. Chinese medicine sees hepatitis as damp heat invasion causing spleen dampness, liver energy congestion, blood coagulation, disharmony of liver and spleen, and liver-kidney yin deficiency. An Infectious virus, excessive alcohol consumption, and irregular eating habits can impair the normal functions of the spleen, therefore affecting liver and gallbladder's ability to regulate bile. Bile will then deposit in muscles, skin, bladder, creating yellowish eyes, face and urine. Treatments focus on clearing heat, removing dampness, harmonizing spleen, and nourishing yin. Herbs commonly prescribed are capillaris, atractylodes, aconite, persica, and carthamus. Jaundice is a yellowish pigmentation of the skin. Jaundice is often seen in liver diseases such as hepatitis or liver cancer. It may also indicate obstruction of the biliary tract, for example by gallstones or pancreatic cancer. Turmeric in yellow curry is effective in treating jaundice. The diet for people with liver disease should be low in protein, low fat and avoid raw fish and shellfish. Avoid spicy and highly processed foods. Sweet potatoes can lower the yellowish color in the skin. 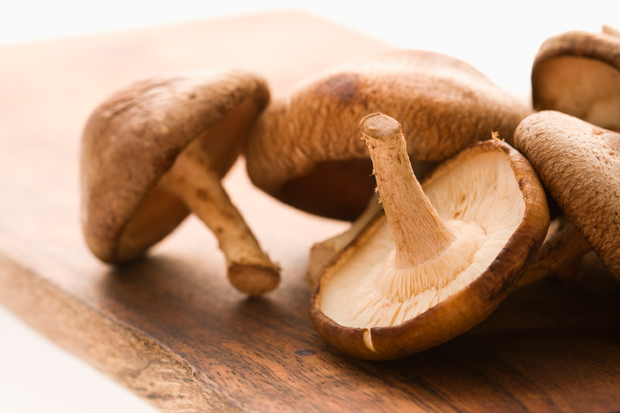 Foods that are diuretic, such as job's tear, are useful in removing dampness. Drinks made of bitter melon and dates are tonics for the liver. 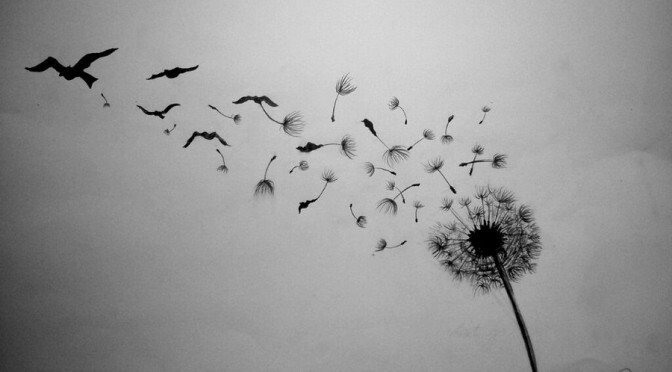 Dandelion and burdock are effective in cleansing the liver and the bloodstream. Licorice is used for treating viral hepatitis. Honey can promote proper functioning of liver cells, lower liver fat and promote proper circulation of blood and lower blood pressure. Green pepper and bitter melon are best for releasing liver fire with symptoms of red and dry eyes. White turnip soaked in vinegar can promote bile movement and help to secrete gall bladder stones and kill cancer cells. Gallstones are formed by stagnant bile flows, secreted by the liver and passed to the gallbladder for storage. First, it formed sludge and then stones. When the stones are small, they will pass through into the intestines and out. If they are large and got stuck in the bile duct, they will cause a sharp, stabbing sensation. Most elderly people have gallstones due to excess cholesterol, high sugar and fat diet and overweight. Women on the pill are more likely to have gallstones. The symptoms are bloating, upper abdominal discomfort, flatulence and food intolerance. Diet plays an important part in preventing the formation of gallstones and reduces the frequency of their attacks. The preventive diet consists of fruits, vegetables, fiber, no sugar, and little saturated or unsaturated fat. A vegetarian diet is recommended. Lemon juice with olive oil before bedtime will help to eliminate gallstones. Apple juice, pear juice, and beet juice are good for cleaning out the system. Sour white turnip promotes the production of bile and prevents the formation of gallstone. Walnut and celery can help to pass out small stones and so is sour plum juice. Eyes with white secretions at both corners of the eyes, especially upon waking up in the morning. 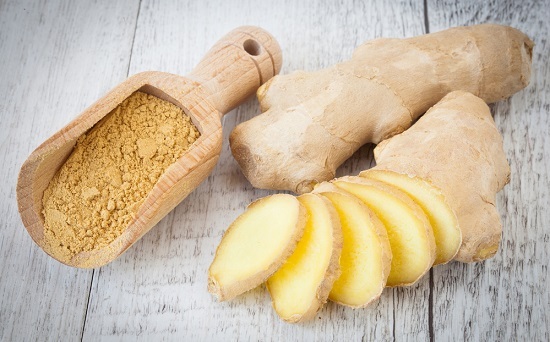 Lowers liver heat and clear toxins in the eyes and liver. 1. 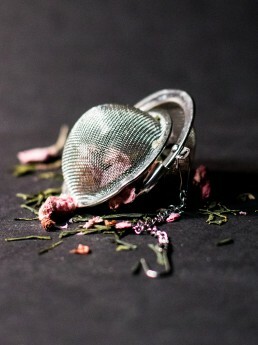 Rinse herbs and cook both ingredients with 3 cups of water over medium heat down to one cup of tea (about 15 minutes). 2. Strain and drink tea. 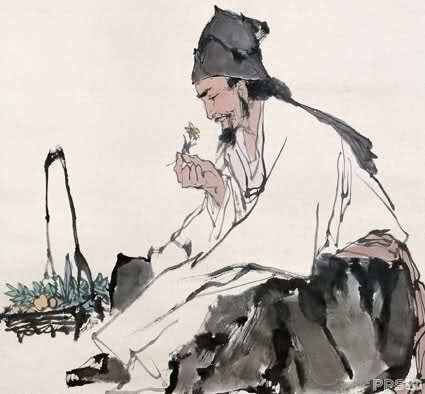 Sun Simiao wrote the earliest medical encyclopedia in China, the Essential Formulas for Emergencies [Worth] a Thousand Pieces of Gold (Beiji Qian Jin Yao Fang), and the Supplement to the Formulas of a Thousand Gold Worth (Qian Jin Yi Fang). The first book lists about 5,300 prescriptions for medicines, the second book 2,000. Each book is composed of thirty volumes. 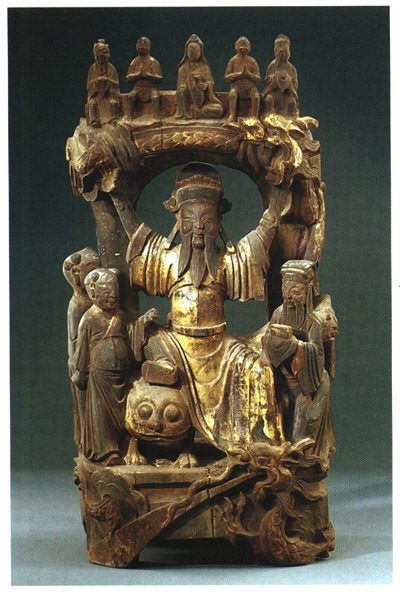 Sun Simiao is also portrayed as a god of medicine, here seated on a tiger and holding a dragon above his head. Enemies, relatives, good friends, Chinese or barbarians, foolish and wise, they all are the same to me. I will think of each of them of them as a close and loved relative - or indeed as if it was I who had been struck down by an illness. 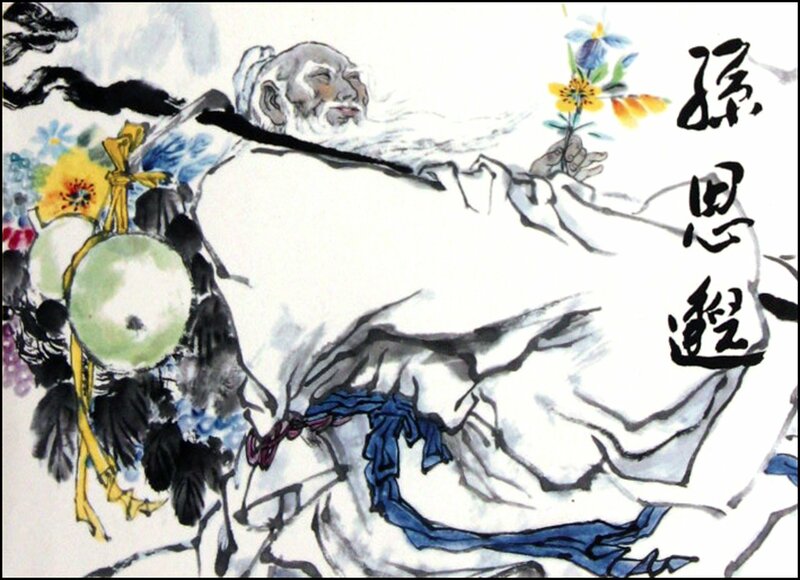 In many ways Sun Simiao was a product of Buddhist, Daoist, and Confucian thought. For example, Sun Simiao’s thoughts about showing complete compassion to all living things is distinctly Buddhist. In Essential Formulas for Emergencies [Worth] a Thousand Pieces of Gold he wrote: When love of life is concerned, man and animal are equal [therefore] I do not suggest the use of any living creature as a medicine or healing agent. This does not concern the gadflies and the leeches. They have already perished when they reach the market, and it is therefore permissible to use them. As to the hen's eggs, we have to say the following: before their content has been hatched out, they can be used in very urgent cases. Otherwise, one should not burden oneself with this. To avoid their use is a sign of great wisdom, but this will never be attained. He also shows Daoist beliefs in rejecting the praise of others. 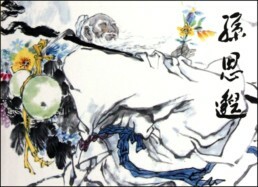 He wrote: Lao-tzu has said, When the conduct of men visibly reveals virtue, the humans themselves will reward it. If, however, men commit virtues secretly, the spirits will reward them. When the conduct of men visibly reveals misdeeds, the humans themselves will take retribution. If, however, men commit their misdeeds secretly, the spirits will take retribution. When comparing these alternatives and the respective rewards that will be given in the time after this life and still during this life, how could one ever make a wrong decision? Sun Simiao is not devoid of a sense of personal irony when he writes about physicians conceited about their own skills. “Someone who has accidently healed a disease, walks about with head raised, shows conceit and proclaims that no one in the entire world can measure up to him.” … “In this respect all physicians are evidently incurable.” When he write “all physicians” might he also be pointing a finger at himself? In summary, Sun Simiao placed the cause and treatment of illness within a social and spiritual context. He articulated the need for a physician to understand the relationship between the art of healing and their own inner state of being and enlightenment, and the society within which they and the patient lived. He believed such understanding would help the overall effectiveness of the provided treatment, as the healer recognized and gained a deeper connection to their role in restoring the patient to health. This is the basis of his code of ethics for physicians. 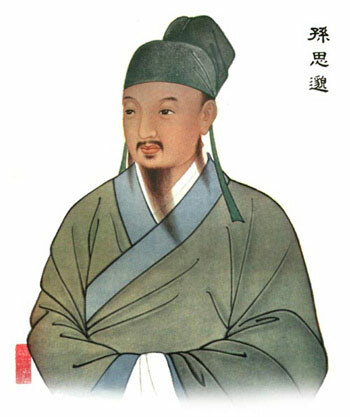 There is another classic Oath for Chinese Physicians which was written by Hua Tuo (c.140-208) [ https://www.britannica.com/biography/Hua-Tuo]. Sun Simiao may have used it as a starting point for his code. Treat people equally irrespective of their high or low status, of their poverty or wealth, of their distinction or obscurity. Albert R. Jonsen. A Short History of Medical Ethics. pp. 36-37. Paul U. Unschuld. Medical Ethics in Imperial China, A Study in Historical Anthropology. https://books.google.com/books?id=T8mB9rfZCBMC&pg=PR3&lpg=PR3&dq=Medical+Ethics+in+Imperial+China,+A+Study+in+Historical+Anthropology&source=bl&ots=lMi2Gb4Eiu&sig=Otaed6OOK9rLv622amqw7qb58hA&hl=en&sa=X&ved=0ahUKEwjT0rOlrNvNAhWJVz4KHQpRBgAQ6AEIGjAB#v=onepage&q=whenever%20a%20great%20physician%20&f=false 1979 University of California Press, Berkeley, CA. 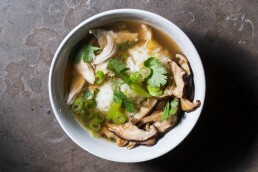 This recipe is from one of my favourite cookbooks, that comes from one of my favourite restaurants in Toronto - Fresh. It was a wonderful place to eat with a diverse menu of fresh, raw, vegan (and non vegan) dishes that tasted delicious and you knew were amazing for you. You can learn a little bit more about them and their vision here. This juice recipe is one I have recommended to patients for years and have made for myself many times. It is especially helpful if your liver is congested - you are experiencing a lot of anger and/or frustration or you are having any menstrual problems like cramps. If you are experiencing any of these symptoms or if you just want to do some regular liver maintenance I would highly recommend this delicious juice to help your liver get its energies moving. Here is the recipe straight out of the book. Formerly called Bukowski's Liver Flush after the prolific poet and devout alcoholic Charles Bukowski, this combination is spicy, sweet, and intense. You can gradually increase the amount of beet juice in this recipe as you become accustomed to its detoxifying effect on your body. 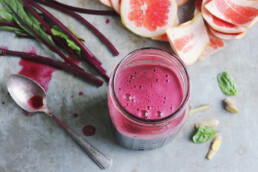 Beet juice has powerful cleansing benefits to the liver, kidneys and blood. 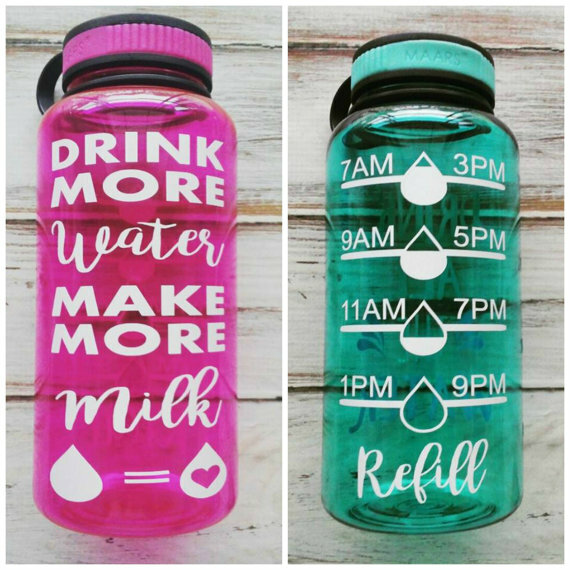 Be sure to drink lots of water throughout the day. Juice the ginger first. Follow with the beets and lemon. Finish with the grapefruit. Stir in the cayenne pepper. Drop in the milk thistle. Pour into a tall glass. Something I want to be sure to note to the uninitiated, is that drinking beet juice has a direct effect on your poop and will make it bright red, looking like blood. I say this because of the number of times that I have had patients call me in a panic sure that they were dying because they were bleeding from the inside. It can be scary indeed. 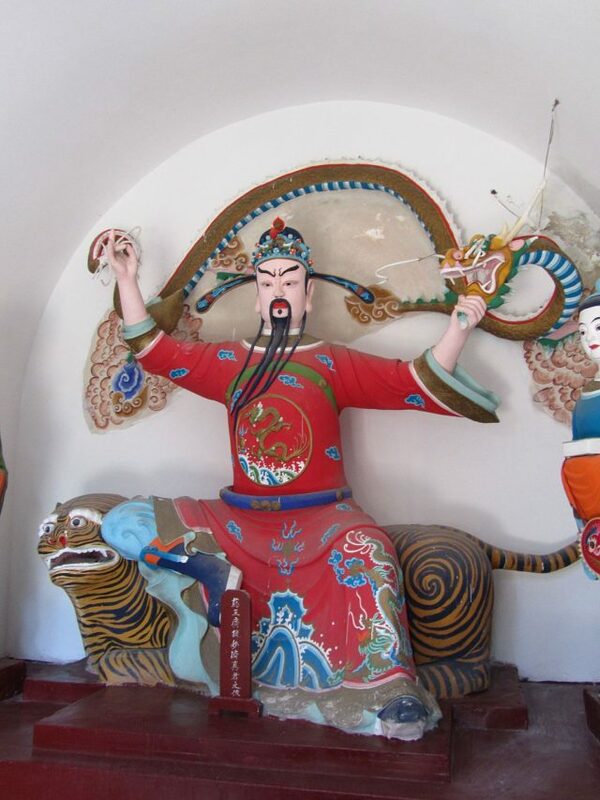 If you would like a downloadable information sheet that will tell you all about how to live in harmony with the Spring Season in Chinese Medicine, you can find it here - The Spring Season in Chinese Medicine. Pregnancy, until recently, had been a bit of an abstract concept for me. I have always thought of it as a wonderful, magical and beautiful experience, and one that is probably one of the most important and profound in any woman's life, I just hadn't ever done it before. So far, it has been an amazing education, and it is only going to get more intense in the next couple of months, especially when I get to the birth part. I have always found that going through things is the best way that I can learn and bring those experiences to my patients. And what I have learned so far, is that pregnancy is the ultimate exercise in letting go. In my experience, how you are pregnant (and give birth) has a lot to do with how you live your life. It has been interesting to see all of the pregnant ladies coming and going from the birth centre over the past many months. Most seem relaxed, and that meshes well with the general atmosphere of the birth centre, as it is quiet and very comfortable, looking more like a little house - with comfy couches with lots of pillows - than a medical facility with bright lights and people rushing around in scrubs. My experience with people outside of the birth centre environment has been a little bit different. There are always a lot of questions and anxiety surrounding pregnancy and birth. Inside my circle of friends, there is support and calm about the whole situation. We are all on the same page when it comes to this subject. Many of us are healers. Hippies. Trust in the universe, nature and our bodies. There is no anxiety, only love and support. But from the outside, the reaction is noticeably different. For one, pregnancy seems to be the ultimate conversation starter. Complete strangers will come up to you and ask about how far along you are, if it is your first baby and if it is a boy or a girl. It is sweet to see how seeing a pregnant girl really brings out feelings of joy in complete strangers. People in the grocery store see your belly and smile. Random strangers will come up to you and congratulate you, or tell you that you look beautiful and radiant which has been really lovely. Everyone seems to be really excited and happy about impending babies. And they are pretty cute, so who can blame them? From what I can tell from past patients and many mothers that I have spoken to, is that I have been really lucky with my pregnancy so far. I have not had any morning sickness or any problems whatsoever. There were periods of intense eating (which was alarming to anyone around me who had the pleasure of witnessing me eating for eight or nine people), and a few weeks, after a large growth spurt, some intense sciatic pain accompanied with pain in my back. But thankfully the pain resolved itself and the insane eating has slowed down a little and now it seems I am only eating for five or six. It is still impressive to watch and my mother almost cries with joy to see me eat that much as I have always been thin, *too* thin as far as she is concerned. One of the most profound things I have experienced being pregnant is the overwhelming feeling of having to let go. Perhaps this is difficult to explain, but I will try. The first thing that went, although I did have to willingly let it go, was all sense of dignity. Granted, after med school and learning about all the things that can happen to human bodies, your sense of dignity is significantly altered. But going through something like pregnancy takes it to a whole new level. First of all, your body is doing things that you never thought were possible. There are the things that you learn about pregnancy in your textbooks, and then there are the "other" things that happen when you are pregnant that are new and surprising. Not everyone experiences all of these things of course, and there is a wide array, but without getting into details let me just say that this has been humbling. We have a lot of body issues in our culture. Women are taught to not only be wildly successful in their careers and at home, but they are taught that being beautiful, fit and thin are virtues as well. It is a lot of pressure, and I know from the ladies I see in my practice, that it takes a toll. Many women come with feelings of inadequacy, who are constantly fighting their bodies and who give way more to the people in their lives than they give to themselves. And it still amazes me how these women - beautiful, successful women with amazing talents, who have incredible children and great relationships can still feel that they are not enough and should be doing better. We could all, in my opinion, use a little more self-love. When you are pregnant everyone wants to give you advice, and the number of books and blogs out there about pregnancy are overwhelming. I actually found some articles about how to lose weight when you are pregnant. Yes. Why in gods name would you want to lose weight while you were pregnant? The answer is that you wouldn’t. And there are lots and lots and LOTS of articles about how to lose weight after pregnancy, how to tighten up belly skin (and other things), get rid of stretch marks and so forth. I see a lot of information about how to get your post-baby body back and I know it is a concern for a lot of ladies. The thing is, that when you have a baby growing inside you, you are supposed to gain weight. 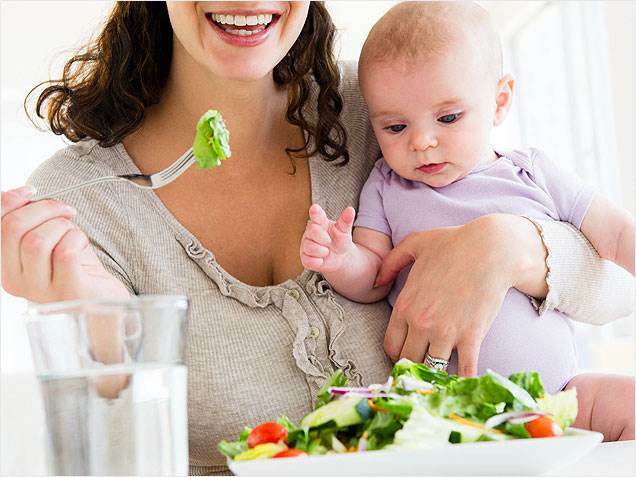 Granted, you should be eating well and getting everything you need to help your baby grow and develop but that is going to cause your body to change. And that is ok. It is marvelous actually. You are making a human being, and that is awesome. I know that this whole process, the process of pregnancy and birth, is a lot easier if you can relax and let go. Easy to say I know but for some, so much harder to do. One of the reasons that I chose to have a baby not with a doctor or OBGYN and instead with a midwife, is that midwives respect this process. Their job is not to intervene, but to support you and your body because they believe (and I also believe) that your body at least, knows EXACTLY what it is doing. It was designed to do it. If you can really accept that this is true, then pregnancy and birth will be a lot easier for you. There are a lot of things that women fear about childbirth, which is understandable. For instance, pain is one of the biggest. It is completely normal that when you actually think through what is going to happen, that you would have some feelings of anxiety about it. Of course. But there are many ways in which we can cope with that pain. Women, especially, are very good at this. Many meditative practices are excellent for pain management. Deep breathing. Internal martial arts. And being in control of your state of mind are some. Fear, as an emotion, contracts. It tightens and makes things small. And many women go through pregnancy and labour with these feelings which actually intensifies pain. The hospital environment also, with all the chaos, bright lights and doctors taking control away from the mother, all feed this fear and can intensify pain. Creating a relaxed and calm atmosphere can decrease feelings of discomfort and pain enormously. Because everyone has a different idea of what a comfortable environment is, it is good to think about it so that you can consciously create it for yourself. Not just with things like pregnancy and childbirth, but with any situation that you know scares you or makes you uncomfortable. Do things for yourself that calm and soothe you and help yourself get through the experience with positivity, expansiveness and joy instead of fear and trepidation. Another thing that I have noticed that I have really had to let go of, is my ideas about how I want this whole thing to go. Not only my pregnancy but giving birth as well. I am a strong willed and extremely stubborn person, so this whole letting go thing has not come easy. I have been working on it my whole life. A lot of it came from the discipline of many years of martial arts (bless them). A lot of it has come from some serious work on myself, self-reflection, writing and working through demons, and some more has come from my meditation practice which has helped me more than I can express to get through difficult times and put things in perspective. These things have helped in every aspect of my life, and I know are helping me now with my pregnancy and will help with the birth process. When thinking about it I realized that I had some fears when it came to the birth. I had to be honest with myself and realize that what scared me was what I didn’t want, which was to have a baby at the hospital. I didn’t want to deal with doctors who might try to force me to have drugs or a cesarean which might inevitably lead to me putting said doctor into a headlock or worse and us both ending up on the evening news. So I had to face this fear and really come to terms with the fact that if for whatever reason I do have to go to the hospital to have a baby, I will have to accept it and not fight. I will have to let go and accept it or the entire process will be unpleasant for me, and for my baby.